Commercial Driver Jobs New Orleans | Platinum Drivers Inc.
New Orleans is a crucial shipping area, sending and receiving goods and merchandise from all over the world. Millions of items come in every day from the coast, arriving from the Gulf region, crossing the Atlantic and arriving from Europe and even as far as Asia. Businesses in New Orleans are in need of class A and class B drivers to transport merchandise and other freight from New Orleans across the country. Other businesses are looking for local drivers, including a delivery driver, yard driver, P & D driver and other positions. You can be home daily and find the work that fits your schedule and your needs. Businesses utilize our services to fill immediate openings in commercial driving and find candidates that they can trust and rely on. We have many different commercial driving positions in New Orleans available, with openings for both new and experienced class A and class B drivers. Finding the right candidates to transport your merchandise is important. You need a driver that not only has the right experience and certifications, but also a person you can count on. Commercial truck drivers are looking right now for consistent work with the equipment you are using and the schedule you need. We make finding the right candidates for the job easy and we eliminate the time-consuming application and background checking process. We specialize in local, long-distance and regional truck driving jobs, and we can help you find the right drivers for each job. You don’t have to look through a hundred applicants that don’t have the right experience, background or proper certifications. By specializing in truck driving jobs and working exclusively with commercial drivers, we eliminate the candidates aren’t right for the job right away, and we work exclusively with drivers that are ready to work. You can find a class A driver or class B driver with the necessary credentials that are ready and willing to work immediately. We take care of background checks, certification checks, license checks and other important considerations, to make sure the drivers working for you are honest and reliable. We check all of our drivers, from line haul truck drivers to delivery drivers to yard drivers and more, to make sure every candidate is reliable and professional. Whether you need a commercial driver to fill an immediate opening, your company is expanding and you need more transportation or you need professional drivers for a long-term position, we can help you find the ideal candidates. For drivers, finding consistent work that meets your needs can be a challenge. Instead of looking through employment websites with hundreds of jobs that you are not interested in, take advantage of a service that specializes in commercial driving. We work exclusively with professional, certified drivers, both local and long-distance, and the companies that require their services. We take the guesswork and waiting out of finding jobs by matching you with the exact work you are looking for. We work with top companies in the nation and drivers that are looking for consistent, high-quality work. With many different jobs to choose from, we make it easy to find work that suits your schedule. If you would are looking to expand your career, we can connect you with career advancement opportunities to gain new licenses and certifications. You can take on the jobs you are comfortable with and keep your schedule as busy or as free as you like. You can also pick and choose the companies that you work with and take advantage of opportunities that keep you close to home or bring you to new horizons. By making your own schedule, you don’t have to be tied down to a specific location or a single job. If you love New Orleans, you can find local work to stay busy and be home daily. If you like to travel to new areas, you can find long-distance commercial driving jobs to bring you across the country. Platinum Drivers eliminates the need for redundant applying and filling out the same information again and again. We keep your information on file and provide it to companies looking for candidates with your expertise. You can then select the jobs you are interested in and keep your work schedule full. Find new opportunities and save time by applying to commercial driving jobs in New Orleans with Platinum Drivers. Fill out the online application or give us a call and we will answer any questions you may have. 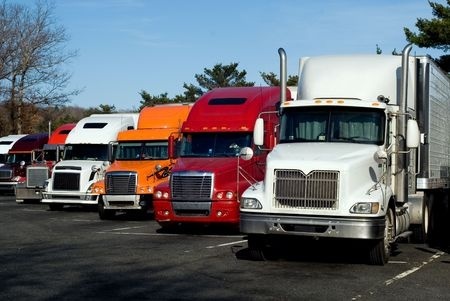 If you have a business in New Orleans, or you are a national enterprise with interest in the area, and you have immediate openings for Class A drivers, class B drivers, delivery drivers, yard drivers, OTR drivers and other positions, contact us and we will help you quickly find professional commercial drivers to fill the space.